Looking for the right motherboard to repair a broken system or upgrade your current motherboard? The computer hardware stock at All Things Surplus is wide-ranging, and includes Desktops, AMD, Intel, and server motherboards. Regardless of where you're located in the U.S., we can seamlessly and professionally ship small or bulk quantities of motherboards to your location. As a supplier with years of experience, we possess the industry knowledge, resources, customer service capabilities, and IT support to fully meet your needs. 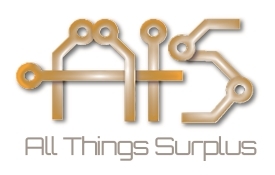 Whether you're in the market to buy Intel motherboards, Supermicro server motherboards, or an Intel desktop board, you can rely on us at All Things Surplus to provide the products you require. In addition to Intel and Supermicro, we also carry other manufacturers' brands, such as Tyan, Advantech, BCM, Dell, Radisys, and more. Our motherboard stock includes models that are considered difficult to find due to issues such as diminishing manufacturing sources and material shortages. Compaq, HP, and others are among the many specific systems our motherboards can accommodate.